Airwheel S6 saddle-equipped electric scooter makes Carrie's daily life more brilliant. Abstract：By accidents, Carrie came into contact with the so called self-balancing electric scooters. On the spot, Carrie experienced the unique pleasure of this high tech personal tool or a toy, as it is adopting aerospace attitude control theory, fuzzy software algorithm and gyroscope system to maintain balance by leaning forward and backward. Now, Carrie's daily life cannot do without Airwheel self-balancing electric scooter. Carrie was exposed to the so called self-balancing electric scooters by accidents. On the spot, Carrie experienced the unique pleasure of this high tech personal tool or a toy, as it is adopting aerospace attitude control theory, fuzzy software algorithm and gyroscope system to maintain balance by leaning forward and backward. Now, Carrie's daily life cannot do without Airwheel self-balancing electric scooter. Among over ten kinds of models, Carrie has selected one of its latest electric self-balancing scooters—Airwheel S6 sitting posture self-balancing scooter. The 8inch wheel and the unique design of exposed tyres make it have adaptability that is more extraordinary in outdoor environment. 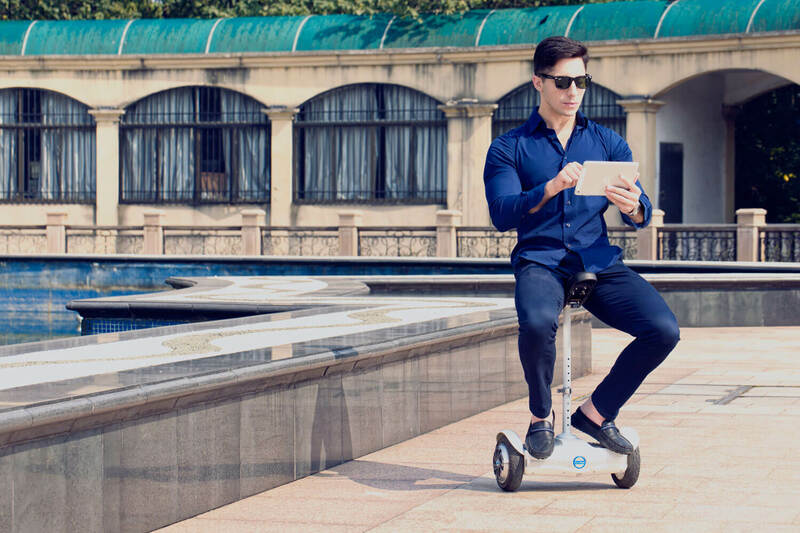 Compared with the 16 inch wheel mounted on A3, sitting posture electric scooter S6's mini structure shows the development trend-micro-innovation, which will be the core design philosophy of many fields in the future. On the one hand, the light weight and mini structure, Airwheel S6 mini electric scooter can be easily conquered even by a small girl. Carrie spent no time to learn it, as it can be controlled by a remote control, with four buttons in the key that covers various functions. For another, she thinks the multi-riding ways make her more elegant and comfortable. She can stand or sit to ride which is suitable for a wider range of application scenarios and various ways of riding brings unexpected comfort. She can change the riding ways according to her interest and different occasions. All in all, Airwheel S6 saddle-equipped electric scooter makes Carrie's daily life more brilliant. 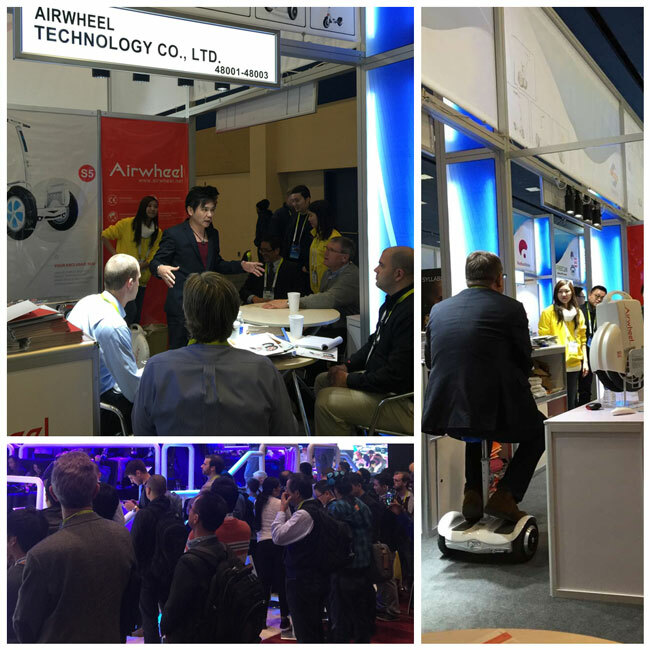 Next：Airwheel intelligent two wheel self balancing unicycle are well received in the 2016 CES.